Seasons Greetings and Feliz Navidad from our eighth holiday season adrift in America since ridding ourselves of stick-build dwellings and opting for our small home-on-wheels. 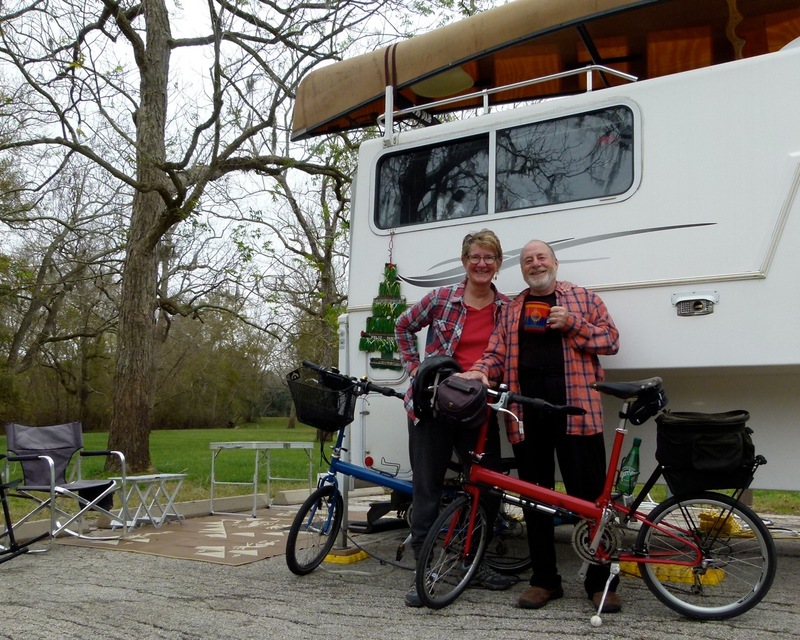 In seasons past Santa has found our little truck and camper parked beside the Colorado River in Parker, Ariz.; hunkered down in St. Joe’s Peninsula in Florida; with friends in Rio Rico, Ariz.; camped at Tugman State Park on the Oregon Coast; and, this season at Brazos Bend State Park, southeast of Houston, bicycling among wildlife, most notable the American Alligator. Here’s to another great year RVing America.